Unlike much of Queensland we have not had widespread heavy rains in Daintree, well not yet anyway, just isolated or scattered showers. With many months of ‘wet season’ ahead of us we’re making the most of any sunny periods – Allen is building a bird hide on the ’07 wetland system and I’ve been …..well one of us needs to inspect the tracks and you can’t do that without the camera! 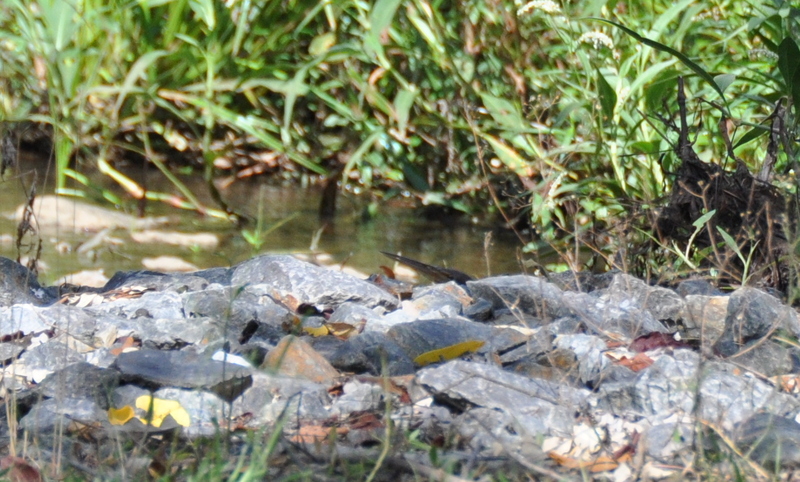 I know there was a bird on this spillway………. As I have disturbed one, sometimes two, Black Bittern on this outflow from Rupert’s Pond I decided to walk up very slowly and quietly with camera at the ready. I saw a movement on the rocky edge and took a photo but I still wasn’t quick enough! If you look carefully you can see the tip of the bill as it crouches down prior to flying off. 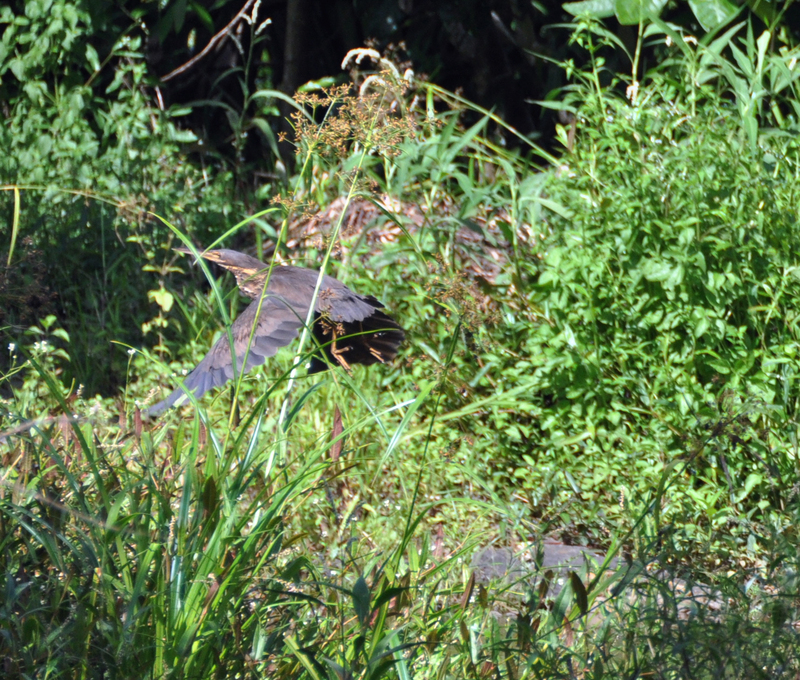 There are small crabs, shrimps and fish in great numbers living amongst the vegetation growing in the water so it is no surprise that Black Bittern are so often found here. Even when disturbed like this they have no need to fly far before finding a suitably sheltered perch or an alternative feeding area further up the wetland system which extends into our neighbour’s property. 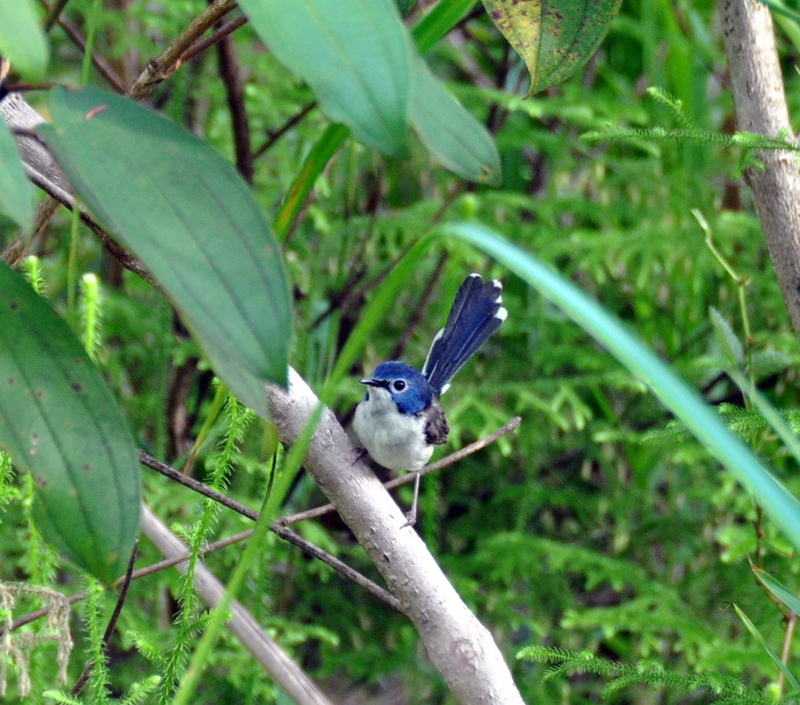 And this pretty little girl (Malurus amabilis) was with her family which included the male Lovely Fairy-wren pictured below. He was extremely busy defending his territory and flitting here and there after family members – he looks a little odd in the photo as his blue neck feathers are puffed out as well as the black mantle on his back. There were many species of smaller birds actively feeding on this fine and sunny afternoon so it was getting a bit stressful for him! This entry was posted in Bird Observations and tagged Black Bittern, Lovely Fairy-wren. Bookmark the permalink. 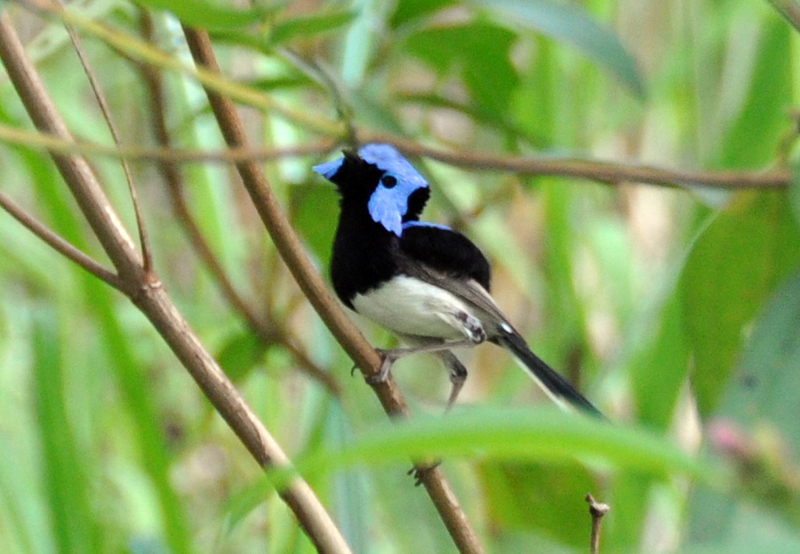 It all looks delightful – the Fairy Wrens are especially beautiful! Thanks Mick, Fairy-wrens never fail to delight they are such fun to observe. Having the same problem with Bitterns. And I can’t find any Lovely FWs in Tyto at all. All Bitterns are a challenge to photograph but some of your efforts have made me green with envy Tony!